Bulk grain handling company GrainCorp reached an agreement with CLEAR to integrate the GrainCorp online warehousing system and the CLEAR online grain exchange with a target go live date during October 2009. The integration will allow growers with grain in warehousing at GrainCorp sites to sell that grain through CLEAR at the time their delivery ‘tickets’ become available within the GrainCorp online stock system. “The integration seamlessly and confidentially links grower’s tickets between the GrainCorp stock system and the CLEAR online market platform. The system integration provides another marketing alternative for growers and considerably enhances the value of warehousing grain at GrainCorp sites,” GrainCorp managing director Mark Irwin said. “Growers using CLEAR to sell grain warehoused with GrainCorp can do so with a minimum of fuss all year round, and without the need to manually transfer grain from GrainCorp warehousing. “The integration is also good news for grain buyers. It means that there should be more grain available through CLEAR, creating another efficient channel for transacting with growers. “If a grower chooses to warehouse at a GrainCorp site this harvest, they now have two new grain marketing alternatives, GrainCorp Warehouse Cashflow and the CLEAR grain exchange, to add to the existing marketing methods: grain pools, forward contracts, and cash,” Mr Irwin said. “Removal by the Federal Government of the bulk wheat export monopoly in July 2008 has allowed companies like GrainCorp and CLEAR to develop innovative marketing tools for growers. Growers now have more marketing choices than ever before. 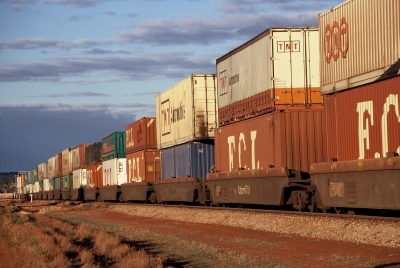 The GrainCorp – CLEAR system integration is scheduled to be operational during October pending successful software integration.